Tile is very durable and is quite easy to clean, however, grout can create some sort of challenge. Grout in the bathroom tiled floors get discoloured by mud, dirt and other kinds of debris whereas grout in the kitchen areas gets affected by food and beverage spills. In the case of bathrooms, mildew, mould and soap build-ups are some of the main issues that spoil the whole look and the aesthetic appeal of grouted tile. However, you can restore the beauty of the grout following certain steps and right cleaning experts. In Brookvale, you will find several professional cleaners those who offer both domestic cleaning and commercial office cleaning services, pick the service of the one which you feel convenient. However, if you plan to clean the grouted tile all by yourself, then the following guideline is for you. Clean with a stiff brush and warm water spray : Spray warm water onto the grout, thereafter use your scrub to scour that portion in a tight and a circular motion. In this way, you can clean up the surface debris and can lift up the deeper stains if there is any. Once you are finished, start pre-treating the area with a scrub and water brush and let the grout get dried up. Apply vinegar to treat stains : Create a solution of warm water and vinegar and apply the mixture on the stains on the tile grouts. And let it sit for many seconds. Now moisten your scrub brush within vinegar solutions and tight circles to scrub the stained grout. Once done, rinse the area with pure water and allow it to dry after the treatment. Lift stains with baking soda : Take hydrogen peroxide and white vinegar and mix it with baking soda and prepare a paste. Now with the help of the scrub brush apply the paste to the grout lines and wait until the whole solution settles down. You will see a foamy and bubbly appearance. Use water and scrub brush and clean the tiles grout service. Rinse the area well so that no dirt or debris settles back at the grout. Take a damp cloth and pat the area dry until the stains get removed. 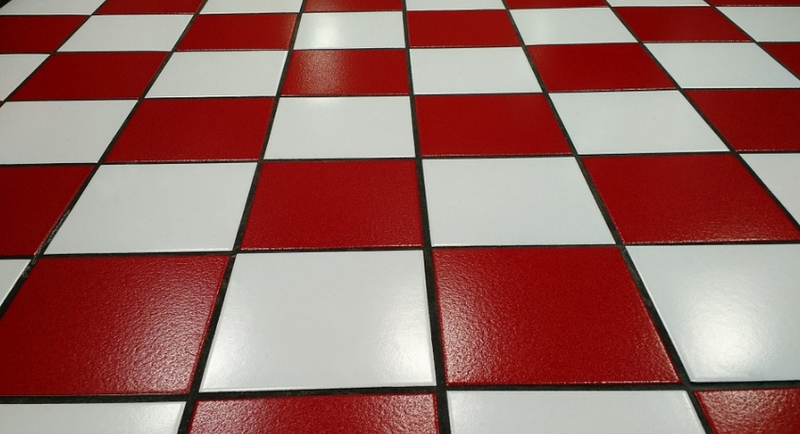 If you see that the grout is looking clean and new, you have done it perfectly, if you fail, consider contacting cleaners who offer residential and commercial office cleaning services. They will help you to clean your tile grout both in bathroom and kitchen. Look for oxygen bleach : Instead of chlorine bleach go for oxygen bleach, oxygen bleach is mainly sold as a powder. Follow the manufacturer’s instruction carefully before applying the paste to the grout lines. It is better you follow expert cleaners advice. They are well acquainted with tools and techniques and they have the right skills and the techniques to clean your tile grouts. After treating the area, rinse the area with plenty of water and then pat the surface with a damp towel.